Mad about a speed camera ticket? Going after the camera may just land you in jail. 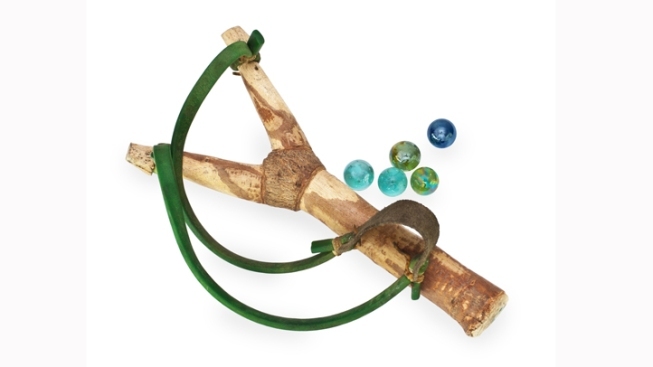 Last night, a man used a sling shot to fire glass marbles at a speed camera van posted outside of a summer camp in Ellicott City, Md. The operator, who wasn't injured, called police when 50-year-old Bruce Lawrence May drove by a second time and shot at the van again. May, whom police arrested on the scene, had been the recent recipient of two speed camera citations. And he may not be the only case of an angry driver taking revenge on speed cameras. Howard County cops say someone threw an unknown object at a Route 99 speed camera van on June 13, breaking the back window. On June 12, someone threw rocks through the window of a different van on U.S. 29 -- the rocks hit the operator and damaged the equipment and vehicle. No one has been arrested in those cases. May, who was charged with second degree assault, destruction of property and reckless endangerment, posted a $3,000 bond and was released. And the speed camera citations he'd received? A Howard County Police spokeswoman says they cost $40 each.